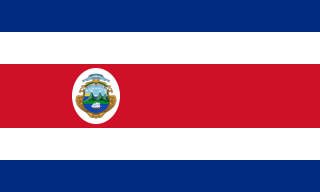 English: Flag constructed according ; using non-traced, pure SVG coat of arms obtained from Image:Coat of arms of Costa Rica.svg, xrmap flag collection 2.9. 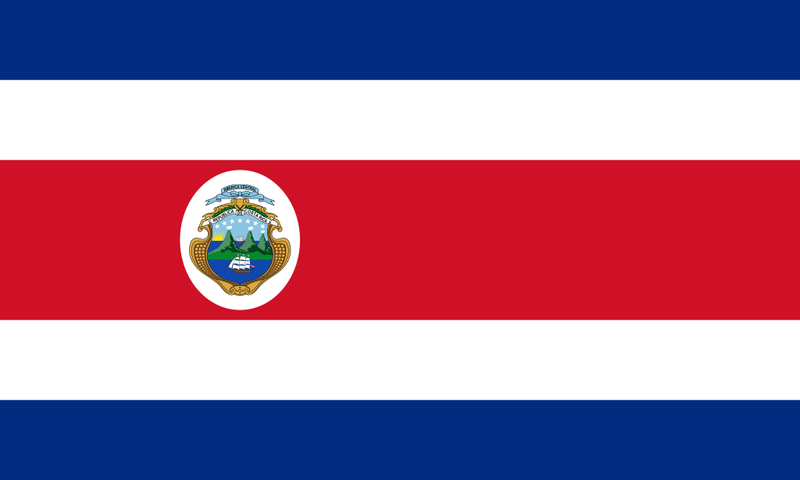 The emblem is very important it signifies different places and things in Costa Rica. Français : Drapeau du Costa Rica. Italiano: Bandiera della Costa Rica. Dátum 5 of may of 1998-prersent. Forrás Government of Costa Rica. aktuális 2019. február 15., 19:47 1 000 × 600 (69 KB) FDRMRZUSA Optimized: reduced svg code. No other changes.